This week Supreme Court was due to hear the case of Shell UK Ltd & Ors v Total UK Ltd & Or – which concerned the Buncefield oil terminal fire. However, this case has now been settled so the Court will instead hear two other appeals. First, on Monday 4 and Tuesday 5 April 2011, Lord Rodger, Lady Hale, Lords Brown, Kerr and Dyson will hear R (McDonald) v Royal Borough of Kensington and Chelsea. The Court will decide whether the Royal Borough of Kensington and Chelsea carried out an unlawful needs assessment; violated the Appellant’s Article 8 rights and/or discriminated against the Appellant by reducing her care funding. The Supreme Court case details are here. Second, on 6 and 7 April 2011, Lords Phillips, Rodger, Walker, Mance and Clarke will hear Jivraj v Hashwani. The issue is whether arbitrators are employees for the purposes of anti-discrimination legislation and whether a term in an arbitration agreement providing that all arbitrators must be of a certain religious belief, if unlawful, renders the whole of the arbitration agreement void. Here are the Supreme Court case details and here is our case preview. – Farstad Supply A/S v Enviroco Limited, heard 19-20 January 2011 (here is our case preview). There are no cases to be heard in the Privy Council this week and there are no judgments to be handed down. R (on the application of Adams) v Secretary of State Justice; In the Matter of an Application by Eamonn MacDermott for Judicial Review (Northern Ireland); and In the Matter of an Application by Raymond Pius McCartney for Judicial Review (Northern Ireland), heard 15 – 17 February 2011. Commissioners for Her Majesty’s Revenue & Customs v Tower MCashback LLP 1 and another, heard 21 -22 February 2011. Perpetual Trustee Company Limited v BNY Corporate Trustee Services Limited and Lehman Brothers Special Financing Inc; and Belmont Park Investments PTY Limited v BNY Corporate Trustee Services Limited and Lehman Brothers Special Financing Inc, heard 1 – 3 March 2011. Lucasfilm Limited and others v Ainsworth and another, heard 7 – 9 March 2011. 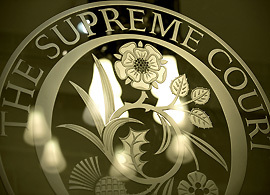 R (Cart) v The Upper Tribunal; Eba v Advocate General for Scotland (Scotland); and R (MR (Pakistan)) v Secretary of State for the Home Department, heard 14 – 17 March 2011. Fraser v Her Majesty’s Advocate, heard 21 – 22 March 2011. Bloomsbury International Limited and others v Sea Fish Industry Authority and Department for Environment, Food and Rural Affairs, heard 23 – 24 March 2011. NML Capital Ltd v Republic of Argentina, heard 29 – 30 March 2011. Tabeel Lewis v The State (Republic of Trinidad & Tobago), heard 10 March 2011. Peter Stewart v The Queen (Jamaica), heard 28 March 2011. Rohan Vidal and Kevin Thompson v The Queen (Jamaica), heard 29 March 2011. 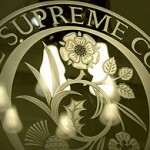 Leave a reply on "In the Supreme Court w/c 4 April 2011"